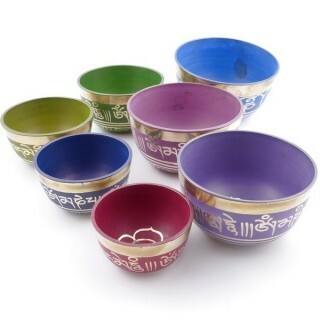 Tibetian singing bowl made with various metals. Comes with stick and pillow. The design of the bowl and the colour of the pillow may vary.